Grade 6 Graduation is fast approaching so please find attached information regarding Graduation and Graduate’s Day Out. 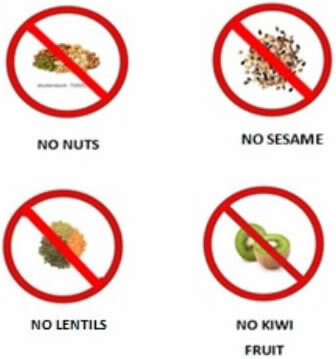 for information relating to what your class has been allocated with some guidelines to help, especially note foods to avoid due to allergies/anaphylaxis. Some Year Five parents will volunteer on the evening with serving of food, allowing us to relax and enjoy the festivities. This is a reminder that it is a family event and is alcohol free. Savoury finger food will be served upon arrival and then sweets at the conclusion of the formal festivities, approximately 9:00pm. We suggest attendees have a light dinner prior to the Graduation event. Dress code – the theme for the evening is ‘Red Carpet’. Students are encouraged to dress for the occasion. For the males this might be dress pants or shorts (depending on Melbourne’s weather) with a nice shirt. Females could be a dress, or a nice top with either a skirt or pants. The graduating students are aged between 11-13 and the school believes their attire should appropriately reflect this. Mrs. Milligan has spoken to the students on a couple of occasions about appropriate dress/skirt length for the ladies. Additionally, we request make-up be kept to lip gloss and mascara only, heels are kept to a low height (we don’t want anyone tripping on stage). Fake nails are fine. Seating – Seating availability at the hall will reflect the RSVP numbers we received. Students will be seated together in allocated seats, and special guests involved in the graduation will also have allocated seating. Guests of the graduates, seating is unreserved for you to select your own seat upon arrival. The graduating class have elected to go to Playtime at the Crown Entertainment Complex for their Graduate’s Day Out. Students are to arrive at school by 9am for a prompt departure and ensure they don’t miss out on attending. Your child will be using public transport to get there and will be back at school by 3:30pm. Students are to wear full school uniform. They will be participating in Ten Pin Bowling, Laser Tag and arcade games.